The SCA Board Hard Had tour quickly filled to max capacity - but everyone should see the new Innovation Center and Community Commons before it is in use! Interested parents/guardians and grandparents are invited to join SCA for a hard hat tour on Monday, January 28 at noon. If you haven't had a tour yet, or have not toured since before December, the building is evolving daily and you'll be WOWed by the latest progress! Contact Tara Gaffney at tmlilly@yahoo.com if you'd like to join. Closed toed shoes are required to tour the site. If you'd like to tour on an alternate date, tours are available most school days at 12pm and 4pm. Contact Michael Gillis at mgillis@shorecrest.org. 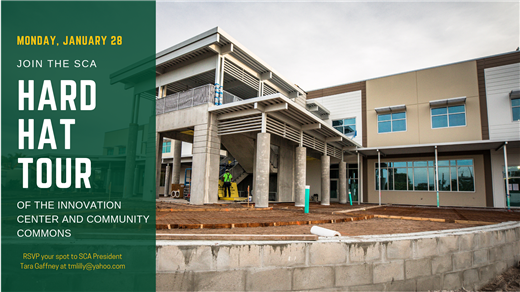 Find out more about our construction at TransformShorecrest.org.